Riccia cavernosa grows in rounded rosettes up to 3 cm diameter, composed of many lobes that are oblong or rounded, and widest above the middle. Lobes are up to 2.5 mm wide with a more or less truncate tip. Plants are usually yellow-green, without reddish pigment, and retain their yellowish colour when dry. The upper surface has a very short, inconspicuous groove only at the tip, and perforations almost to the branch tips. These perforations rapidly disintegrate further away from the tip to leave the older parts towards the centre of the rosette distinctly spongy. 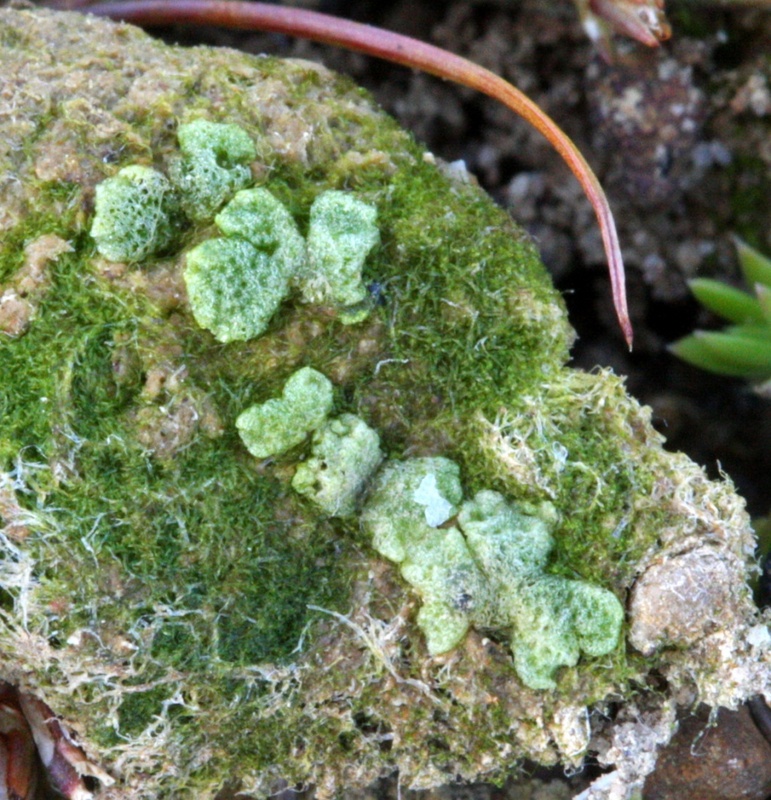 Dark spores are found in the older spongy tissue and may become visible as the thallus disintegrates. 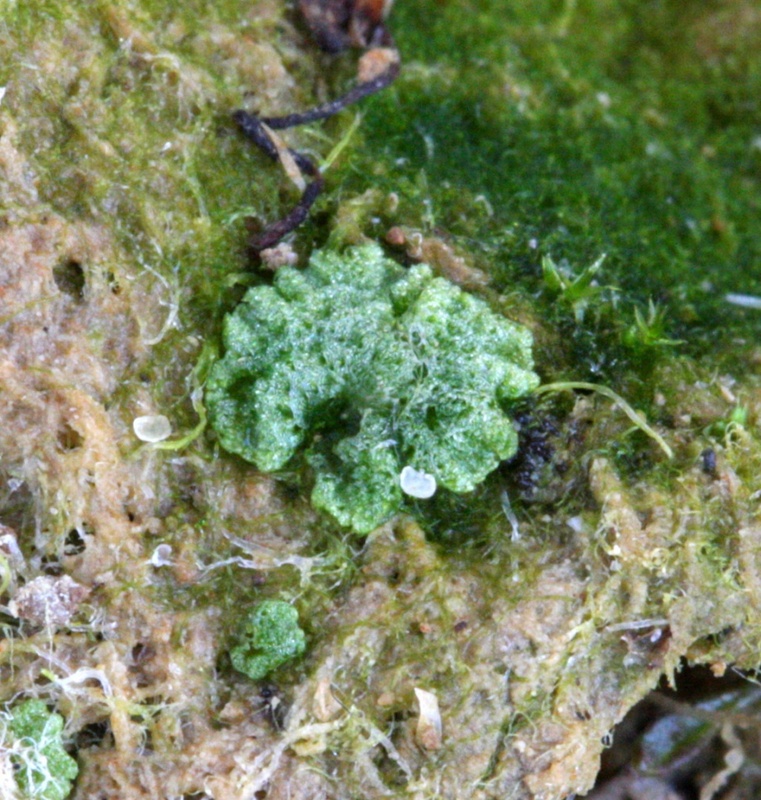 Riccia cavernosa typically grows on moist, exposed, neutral to base-rich mud by reservoirs, lakes and ponds, sometimes also in damp hollows in arable fields, gravel pits and sand dunes.